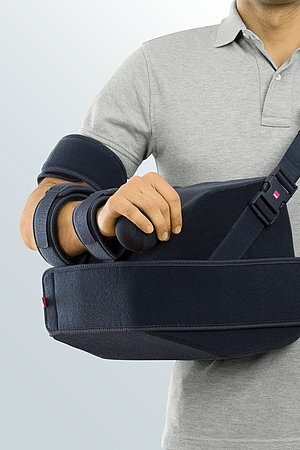 medi SAS comfort is a shoulder support cushion. 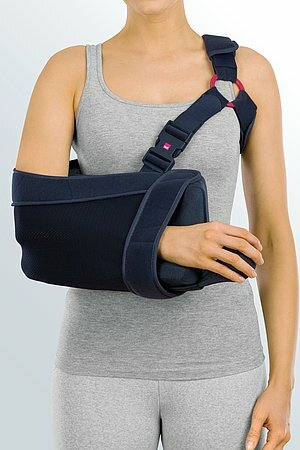 The product is exclusively to be used for the orthotic fitting of the shoulder and only on intact skin. The snap fasteners on the front of the cushion should be opened. The shoulder strap already lies on the table. Place the arm that has been operated on in the open pocket. Pass the waist strap around your back and close the snap fastener. 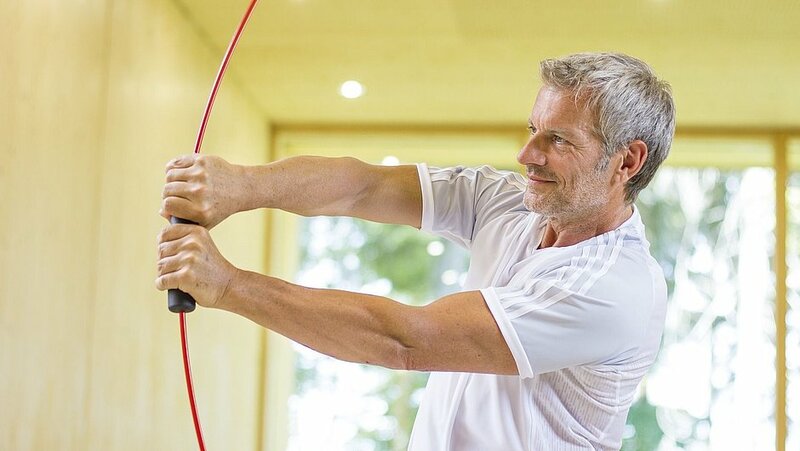 Guide the uninjured arm through the loop and pull the belt over the shoulder as you would with a rucksack. Lock the buckle clip. In order to prevent the arm from slipping out, please attach the additional hook and loop fastening. 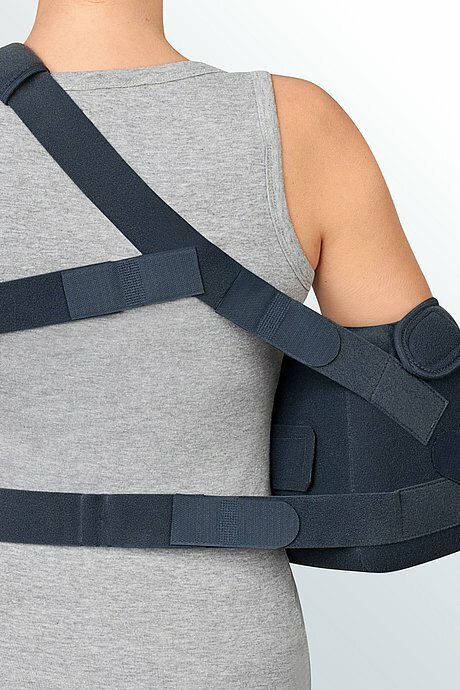 If you have the feeling during the night that the arm or shoulder is not securely positioned, you can put a pillow under the brace or you can tighten the strap around the waist. In principle, this product must be used under medical supervision. When it is applied for the first time, this must be under the instructions of trained and specialised personnel, such as an orthopaedic technician. If the support is individually fitted by a qualified person, this will ensure that it is effective and comfortable. If it is to be used with other products, this must be discussed with the prescribing doctor. The product should not be worn in water. Soap residues, lotions and ointments can cause skin irritation and material wear. Pillow case, bag and straps can be washed by hand, preferably using medi clean washing agent, or in the washing machine with the delicate cycle at 30°C using mild detergent without fabric softener. 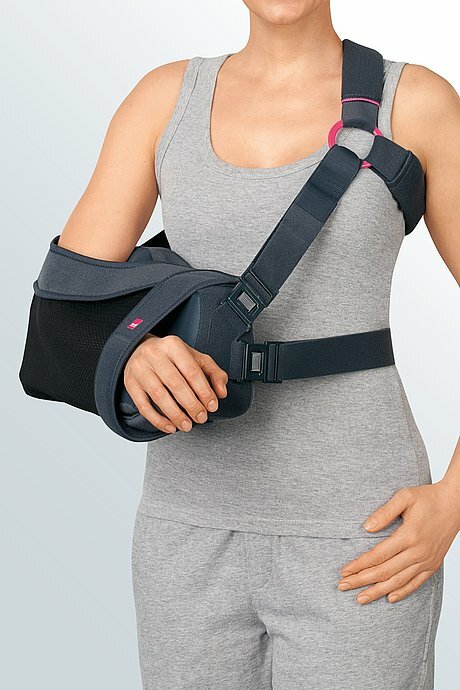 How to use our medi SAS comfort shoulder abduction braces. Date of issue: until August 2016. 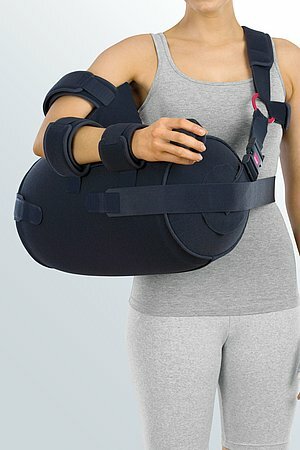 How to use our medi SAS comfort shoulder abduction splints. Date of issue: unti June 2018. 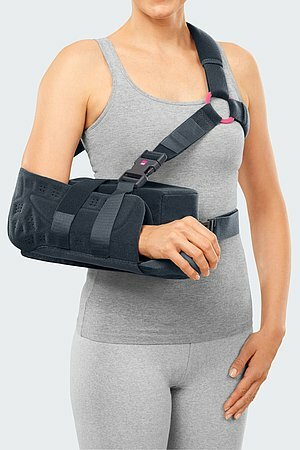 How to use our medi SAS comfort shoulder abduction splints. Date of issue: from June 2018.